I’ve heard this question literally hundreds of times. I’ve even asked it myself. There are many variations, such as “I seem to get drunk on less,” or “In the morning I can’t remember the night before.” Rest assured that if you’ve had anything like these experiences, you are not alone. So why does it happen, and more important, what can we do about it? The science behind this phenomenon is all too simple: as we age (yes, sadly it’s all about aging) our systems, our organs, and every cell in our body start to slow down. According to nutritionist Tina Nunziato CHNC of Dr. Liz Cruz Partners in Digestive Health, our organs don’t process things as quickly or as completely as they used to. 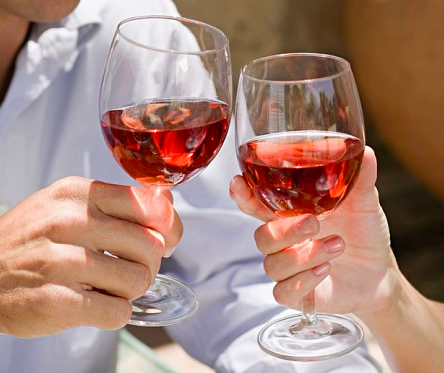 Our liver, for example, may not fully metabolize all the alcohol in the wine we consumed last night. The next day, we may feel slightly fuzzy-headed, nauseous, or headache-y. The picture, however, needn’t be so bleak. We can change our habits so that we can imbibe and enjoy. We need to understand, first, that ill effects will increase with the amount of alcohol ingested, and all wines are not created equal when it comes to alcohol content. Red wines from warm climate regions, such as Australia and many parts of California, may have an alcohol content as high as 15.5 percent (think Shiraz, Zinfandel, Petite Sirah, and many Red Blends). A cool climate white or red, on the other hand, such as one from northern France or northern Italy, might weigh in at only 12.5 or 13 percent (such as Sancerre or Chianti). Your body feels the difference, and you may find that simply switching to lower alcohol wines will resolve your issues. Hydration is also a significant part of the solution. 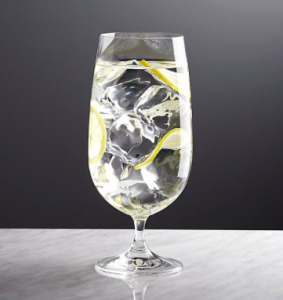 Drinking lots of water alongside your wine dilutes the alcohol, so make sure there’s a glass of water beside your glass of wine, and that you drink both throughout the evening. Book-ending your wine consumption with lots of water will also help your system perform better. Drink one or two eight-ounce glasses before you start drinking wine, and do the same before bed and first thing in the morning. a full-blown five-course meal, your body will process the alcohol much more efficiently. It’s as simple as that. 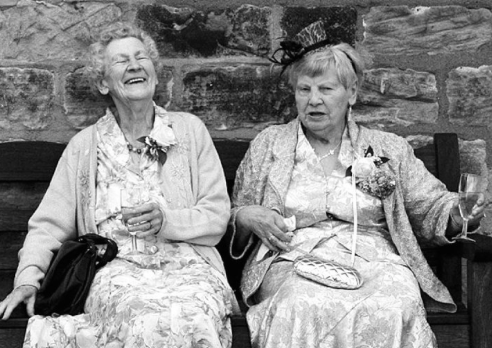 You can still enjoy the pleasure of a glass of wine (or two), as long as you adjust and adapt to your new, more mature reality. I know I will. Cheers! Thought you couldn’t find a wine that tastes great with Sushi? Think again! Even though wine is a decidedly Western tradition, the right selection can create a knock-out combination with Eastern food. Try experimenting with one of these great wine choices the next time you order up some Sashimi or your favorite Sushi Roll. 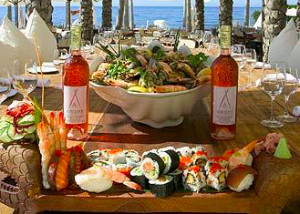 The flavors on a Sushi menu run the gamut from light and buttery to pungent and earthy, but you can enhance almost any dish with a crisp, fresh white wine. The only white to steer clear of is Sauvignon Blanc — the strong grapefruit or cat pee notes (yes, cat pee!) are too much for delicate fish. But you can’t go wrong with un-oaked whites and (believe it or not) a few light reds. 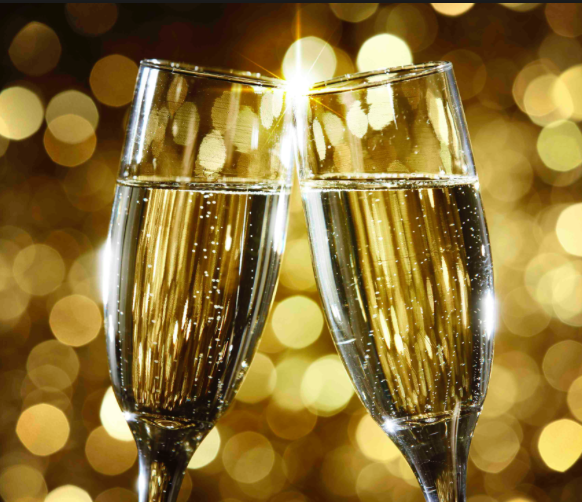 You will never be disappointed with a Sparkling wine such as Cava, Prosecco or Cremant de Alsace. The tangy, tingly bubbles are a great counterpoint to Sake (Salmon) and a lot of fun with a California Roll. Whites from cool climates such as Alsace, Austria and Germany have great acidity and minerality, which balance the richness of more strongly flavored seafood. Look for a Pinot Gris, Dry Riesling or Gruner Veltliner (this wine is relatively new to U.S. wine drinkers, but is well worth seeking out as an alternative to Sauvignon Blanc). Any of these are a killer combo with Hamachi (Yellowtail Tuna). 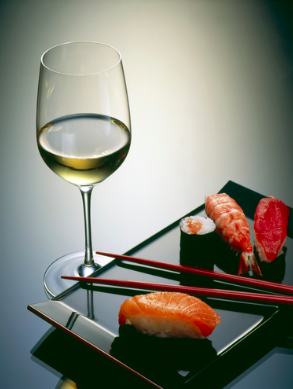 Go for a Gewurtraminer with spicier dishes such as Spicy Tuna. 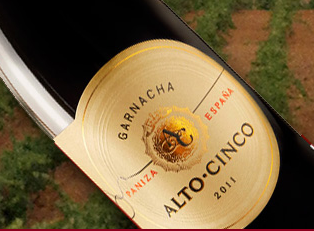 You’ll love how the stone fruit and spice in the wine work with the heat of the roll, and it even stands up to Wasabi! And for all you red wine lovers, yes, you can sip red with your Sushi, especially with stronger, more pungent dishes such as Maguro (Big Eye Tuna) or Unagi (eel). Stay away from the heavy, tannic reds such as Cabernet Sauvignon (which bring out the metallic “fishiness” in fish), and go for a lighter, fruitier red. Think French Beaujolais or California Pinot Noir; the wine’s berry notes and hint of earthiness will bring out the best in the seafood. And don’t pass up the pink wines. Dry Roses from France or Spain have just enough fruit character to stand up to complex flavors, while still being snappy on your palate. 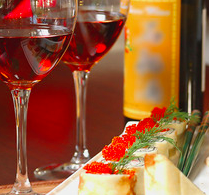 Any way you pour it, there’s a wine that will take your Sushi experience over the top. Find out for yourself what can happen when East on your plate meets West in your glass. Cheers and Kanpai! 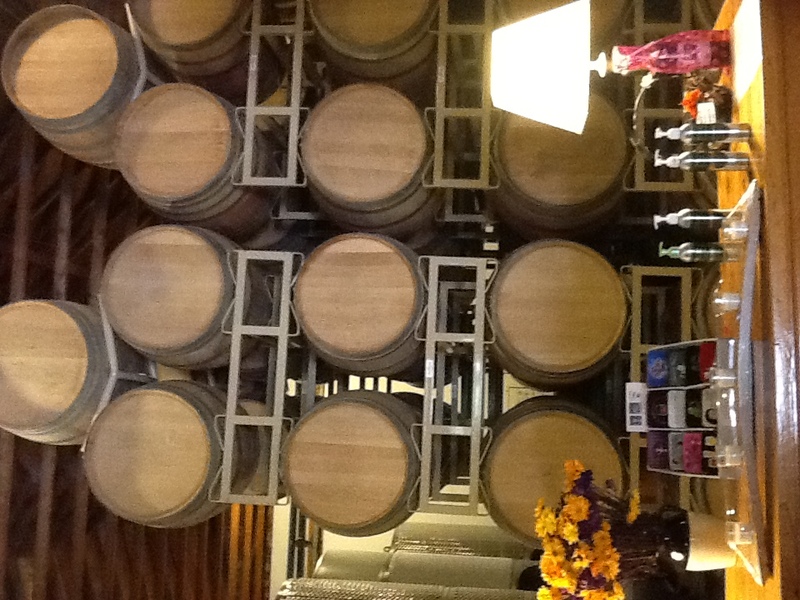 For a visit to more traditional California flavors, we tried the 2011 Temecula Valley Huis Vineyard Zinfandel. Wow – what a departure from the typical prune-y, overly-alcoholic Lodi Zin. 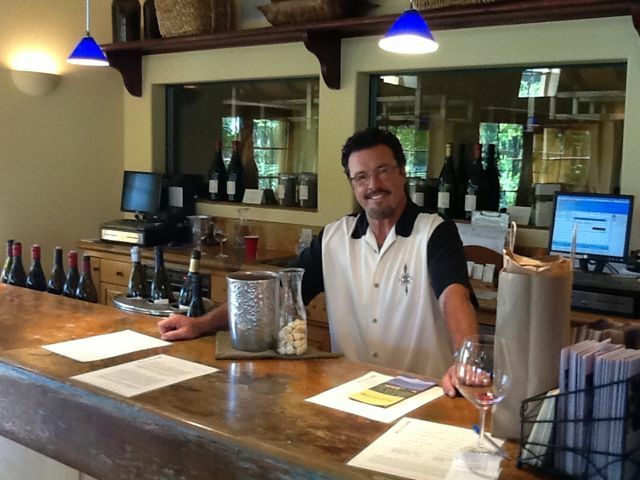 Daniel said they actually bring their Zinfandel grapes in early, when alcohol levels are lower, to maintain a more elegant balance in the wine. I loved the delicate blueberry and raspberry notes that offer flavor without weight, and the amazingly restrained 13.2% ABV. When was the last time you saw that in a California Zin?? 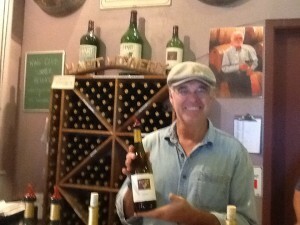 Another favorite was the 2009 Hart Family Driveway Red (made from grapes grown adjacent to the winery’s driveway!). This is a true field blend, made in the traditional style with three varietals co-fermented and aged together in barrel. I think this method produces something like “sibling harmony” – you know, where three sibling voices blended together will make the best musical harmonies. This blend of Merlot, Cabernet Sauvignon and Cabernet Franc has plenty of richness and body, with cassis, blackberry and a bit of chocolate all dancing on the tongue. This is one of the bottles that went home with us. 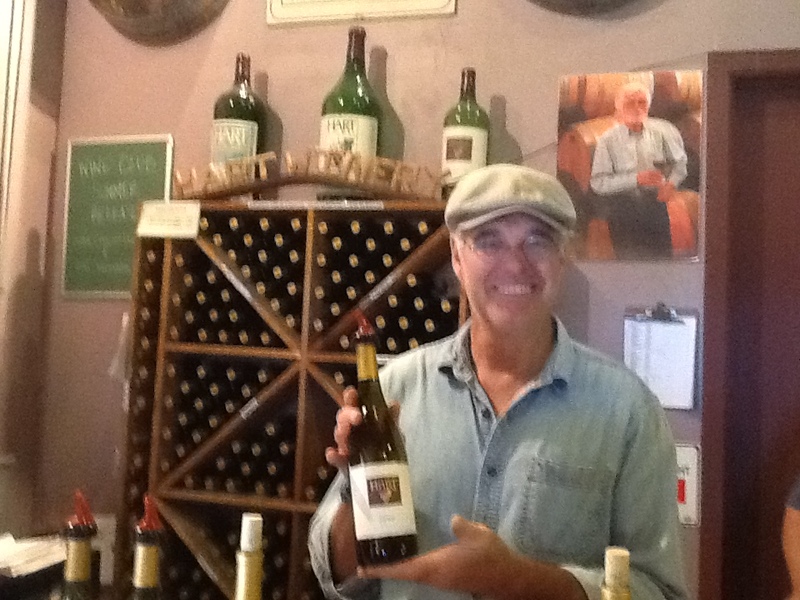 Thanks to Joe Hart, who helped pioneer grape growing in Southern California and leads the way for Temecula today with top-quality wines. We’re looking forward to visiting the area again. I felt as disoriented as Dorothy and her little dog when I landed in the middle of Santa Barbara County’s Santa Ynez Valley. 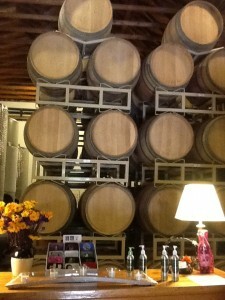 I was supposed to be in Wine Country, but where were the sights so familiar in the Napa Valley? 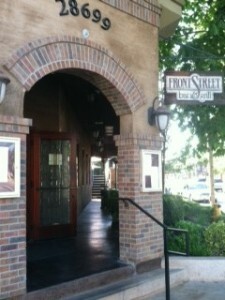 Where were the gigantic Tuscan tasting rooms crowded together along the roadway? 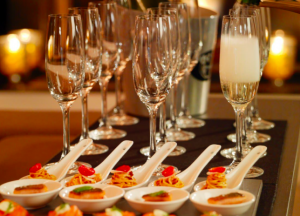 Where were the high-end restaurants grudgingly serving $200 a plate lunches? Where were the traffic jams? 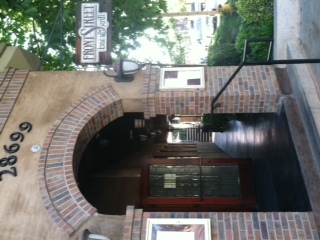 Instead, I saw the brick-front Lompoc Chamber of Commerce, Circa 1892. It sits across from Sissy’s Cafe, where they make a mean lentil soup. 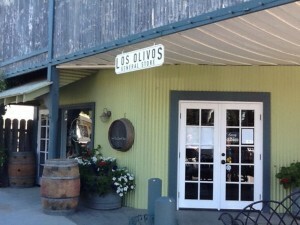 I saw the Los Olivos General Store, and further up the street was Jedlicka’s Saddlery, where working ranch hands still buy bridles and belt buckles. I saw the pseudo-Dutch village of Solvang, which was, well, weird — but features an antique dealers showroom with one of the country’s finest collections of clocks. And I tasted some very, VERY good wine. 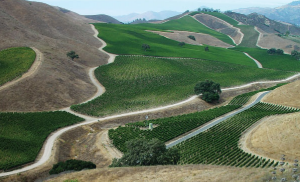 The Santa Ynez Valley is south of San Francisco, just a few hours north of Los Angeles, and close enough to Santa Barbara for a nice day trip. It’s blessed with wonderfully moderate temperatures, and if you’re a wine geek like me, you know that the valley runs east-west, splitting the coastal hills and allowing morning fog and cool afternoon breezes to blow in from the ocean. This creates the longest and coolest growing season in California, and when you add endless summer sunshine, low rainfall and well-drained soils, you’ve got a little paradise for wine grapes. High density planting creates really intense flavors in the fruit. Vines must compete for nutrients from the soil and yields are very, very low. Leaves are pulled to expose the stems to the sun. The stems become dry and brown so they can be included in whole-cluster fermentation without adding green flavors to the wine. Their Pinot Noirs see no new oak, which seemed like sacrilege: what’s red wine without oak? But the crafty folks at Melville let the dried wood from the stems act as their “oak.” It imparts that soft vanilla undertone without overpowering the fruit. Alvin is a great host at the Melville tasting room. Melville Carrie’s Pinot Noir 2010 uses fruit from a five-acre block that sits atop an exposed mesa, where the roots have to reach deep into the soil in search of nutrients. This creates the “darkest and most powerful” of their Pinots. I loved the luscious berry compote on the nose, and the rich, textured body of this Pinot. Again, there was plenty of lush fruit and layers of spice, but it was all balanced by good natural acidity. 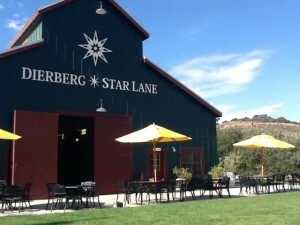 Dierberg makes Chard and Pinot Noir from vineyards in the Santa Rita Hills and Santa Maria Valley, which sits further north and eight miles closer to the cooling influence of the Pacific Ocean. 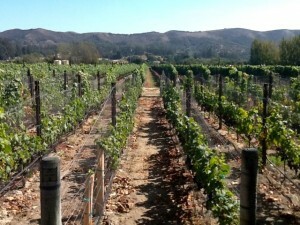 Star Lane grows Syrah and Bordeaux varietals in Happy Canyon, otherwise known as the Banana Belt of Santa Barbara County. The owners were so impressed with this warm-climate region that they bought a whopping 8,000 acres — about one third the total area of the Canyon. Besides plenty of high ratings, Dierberg has the distinction of being served to a bevy of international dignitaries at the 2012 NATO Summit (that was the 2007 Syrah). That’s high praise, indeed. with more degree days and less rain than almost all of the Napa Valley. 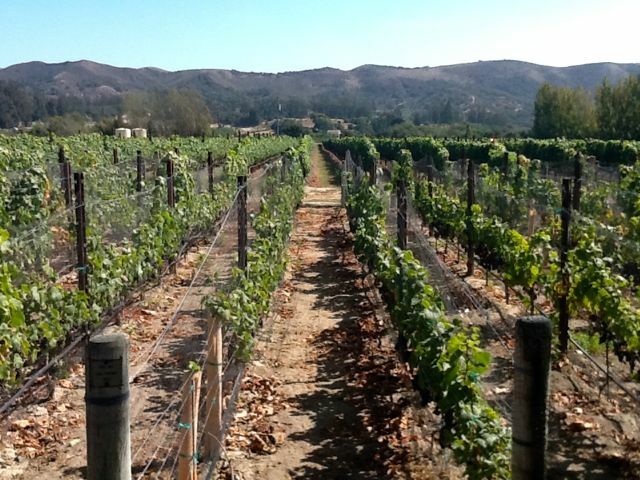 They’re also among the highest elevation, with grapevines climbing up the lower slopes of the San Rafael Mountains. They can make big reds here, like Star Lane Estate Happy Canyon 2007. Five years after vintage date this beauty is bold, rich and soft. A blend of Bordeaux varietals plus Syrah, it opens with rich creme de cassis and vanilla, following with dark berries, mocha, and a little exotic spice. The mouthfeel is juicy and the tannins are beautifully supple. A few bottles left the winery in the back of my car, and I can’t wait to revisit them with an appropriate meal to match. There’s more to tell but I’m out of space and out of time. 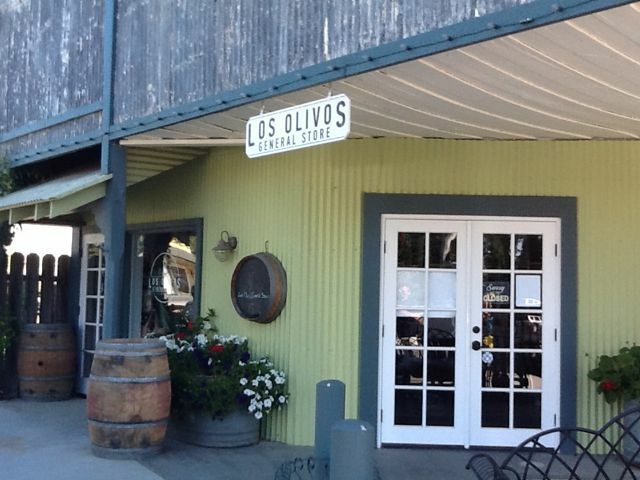 Stay tuned for the final installment of our adventures in the Santa Ynez Valley. Cheers! 1874. That’s when the West was Wild and Napa was a hotbed of silver mining, not wine-ing. The year 1874 is also when this lithograph of the Charles Krug Winery was drawn. And at that point the winery had already been around for a dozen years! So if you value classic stuff, it doesn’t get any more classic than Charles Krug. The winery has been in the hands of the Mondavi family since 1943 — yes, that Mondavi family. Italian immigrant Cesare Mondavi jump-started the already-venerable Krug winery, and brought sons Robert and Peter into the business. Robert eventually moved down the road and established the eponymous winery in Oakville, and Peter took over the reins at Krug. And at the ripe young age of 90-something, Peter is still holding the reins (albeit with a lot of help from two more generations of Mondavi’s). Over the years Charles Krug Winery has built a classic reputation for Bordeaux varietal wines, especially their Cabernet Sauvignon and Cab blends. But they also do a pretty good job with the other Bordeaux varietal, the white one. Sauvignon Blanc has been a staple in the Napa Valley for years. It grows well on the valley floor, and just about every Napa winery pushing out a $50 – $300 Cabernet has a $25 Sauv Blanc to go with it. I recently tasted Charles Krug Napa Valley Sauvignon Blanc 2011, which just happened to be the winery’s 150th anniversary vintage. Wow! Those years represent a lot of history for California and the Napa Valley, but the year 2011 was anything but a banner year for weather. The 2011 growing season was, to use a technical term, lousy. Conditions included “below average temperatures, late spring rains, a cool growing season and rain during the summer.” Yields were something like 30% below normal, and Brix (or sugar levels in the grapes) were substantially lower than usual. 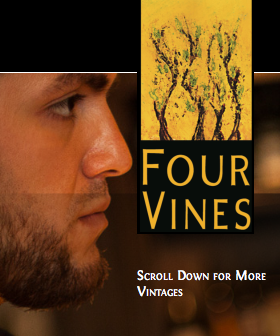 The nose gave me mandarin orange and pear fruit, with something savory and tangy on the back. That’s good — it smelled like sunshine and blue skies. My first sip was a test: would this be one of those Sauv Blanc’s that turns your mouth inside out with acid, or something that reminds you of cat pee? Happily, it was neither. Instead I got a Sweet Tart — does anyone remember those? They’re a candy that has the best sweet/tart thing going, and just like that candy, the Charles Krug gave me sweet pear and tart gooseberry fruit all at once. Not that that’s a bad thing! I loved the fruity attack and crisp finish. I also got a nice richness on the palate that kept this from being a Johnny-One-Note kind of Sauv Blanc. That means that it’s — balanced! And isn’t that what we’re looking for in any wine? Charles Krug Sauv Blanc was fun to drink, and I wished I had some Calamari or Mussels to enjoy with it. And at the very reasonable price of $18 a bottle, it’s good wine for the money. Check it out and let me know what you think. Cheers!